By buying this product you can collect up to 456 bonuspoints. Enhet för växelgata 15°, längd: 115 mm. Centre piece for double crossover DGV 15, suitable in combination with 15 deg. switches/diamond crossings with slips. 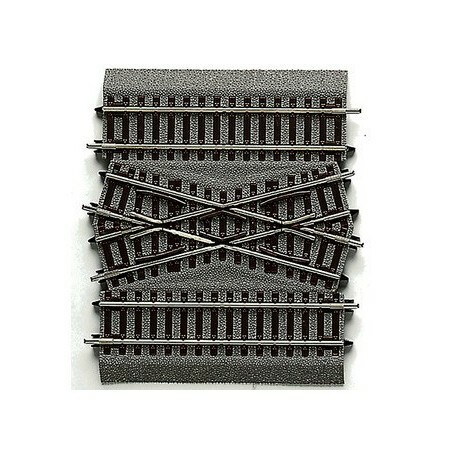 The crossing railway tracks are not electrically separated. Length: 115mm. With bedding.